The choice of Weymouth and Portland for the 2012 Olympic and Paralympic sailing was hardly a surprise to those of us who sail here and belong to local members’ clubs that have thrived for more than 100 years. Recently our communities have supported initiatives to widen participation in water sports, however a friend raised a question that suggested the relationships between the organisations need clarification. What follows hopes to explain some of these organisations’ aims and how they work together. 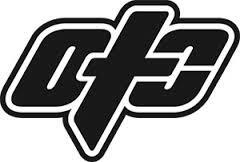 The Olympics and Paralympics gave us a legacy of equipment, facilities and skills, not least the self-funding, not-for-profit Weymouth & Portland National Sailing Academy (WPNSA). WPNSA has developed since 2000 into a world class sailing venue with extensive facilities that include purpose-built features to give people with abilities and disabilities access to water sports. In addition to its own events, WPNSA provides the base from which a number of organisations operate including the Royal Yachting Association’s Olympic and Paralympic sailing teams and commercial and charitable sailing organisations including the Official Test Centre windsurfing school (OTC), Parents Get Lost (PGL), Weymouth College, The Chesil Sailing Trust, the Andrew Simpson Sailing Centre and Chesil Sailability. 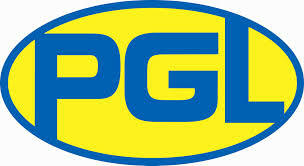 The OTC and PGL are commercial organisations, Weymouth College is an educational establishment and The Chesil Sailing Trust, the Andrew Simpson Sailing Centre and Chesil Sailability are registered charities. Established in 2001 to enable young, disadvantaged and disabled people to participate in sailing. The Chesil Sailing Trust raises funding to support sailing activity. Its best known programme is the ‘Sail for a Fiver’ scheme which, through their schools, offers primary school children the opportunity of a half-day of sailing or wind-surfing. Since 2003/4 the charity has enabled some 14,000 children to experience their first taste of sailing by meeting the difference between the £5 which the children are charged and the full cost. The majority of the sessions are delivered by the Andrew Simpson Sailing Centre, others by the Weymouth Outdoor Education Centre and, in the past, the Lyme Regis Sailing School and the Hengistbury Head Outdoor Education Centre. The Chesil Sailing Trust’s other programmes include bursaries to enable children to progress from the introductory session to regular participation and on through RYA dinghy qualifications, sponsoring young people on tall-ship voyages, programmes to train unemployed young people to become sailing instructors and the development of talent amongst promising young sailors. 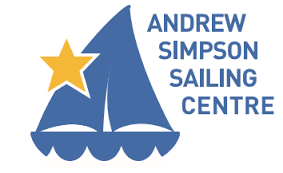 The Andrew Simpson Sailing Foundation was established following the unfortunate death of the Olympic Gold Medallist, Andrew (Bart) Simpson in training for the America’s Cup. Its purpose is to transform the lives of young people by providing opportunities to grow, achieve and to inspire excellence through sailing. The Foundation runs the Sailing Centre at the Academy and has a grant scheme supporting projects for young people. Chesil Sailability was established in 2013 having been inspired by the 2012 Games, particularly the Paralympic sailing events. It has been launched successfully with the support of WPNSA, The Chesil Sailing Trust, Yacht Clubs of Weymouth and our wider sailing community. Coming under RYA Sailability, it aims to provide the sense of freedom and challenge that sailing brings to those with disabilities. It is self-funding and generates income through fund-raising activities. 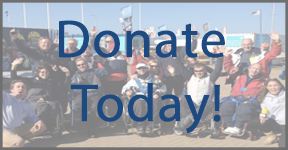 Both the Chesil Sailing Trust and Chesil Sailability rely wholly on volunteers so that costs are kept to a minimum, enabling maximum benefit from donations and fund raising. Sailability website. Thanks again to outstanding support and enthusiasm, both boats have been launched but need on-going funding to ensure they are maintained to high standards. In 2015 Project Zöe will amalgamate with Chesil Sailability’s other fund-raising activities which are essential for long term viability. Other charities that support water-sports in the area but which are not based at WPNSA include the Will Mackaness Trust and MV Freedom. 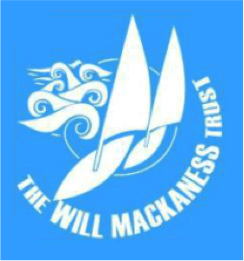 Set up in 2008 the Will Mackaness Trust has strong links with Wey Valley School where Will was a pupil and enables young people to participate in water sports, especially windsurfing. 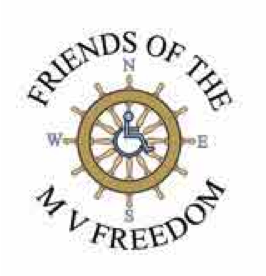 MV Freedom is a motor boat that operates from Weymouth Harbour to take people with disabilities out on the water. All of these organisations work well together to provide outstanding facilities for all ages and a wide range of abilities and disabilities. The people involved (both employed and volunteers) contribute in various capacities often across more than one organisation; most are also members of local water-sports clubs and share the joy and satisfaction of making best use of our natural surroundings and our Olympic and Paralympic legacy. If you would like more information or to be involved in any of the above, please check the relevant websites.